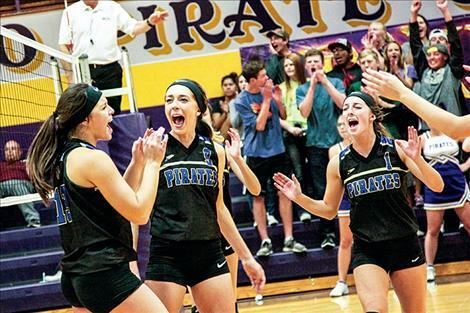 Lady Pirates celebrate a point during Saturday’s match against Dillon. 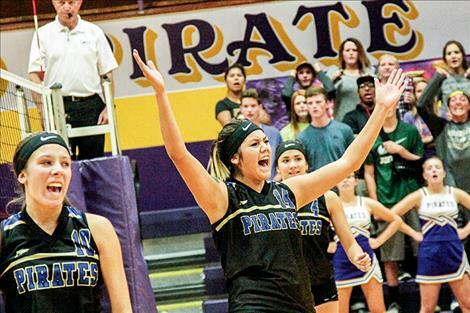 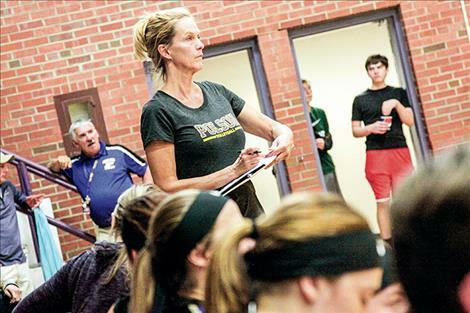 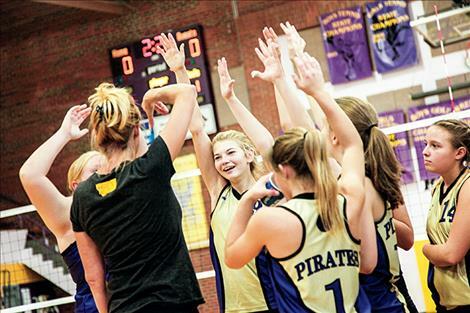 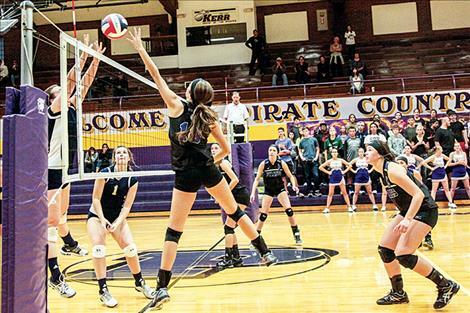 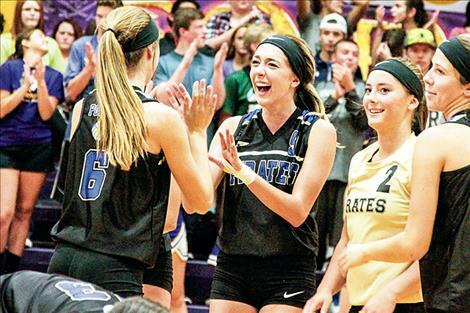 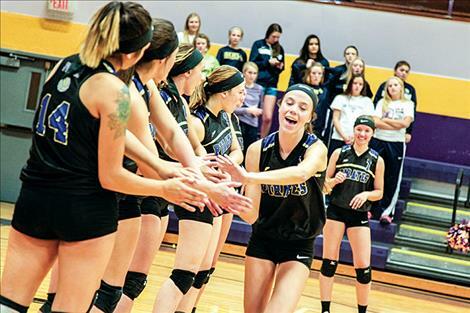 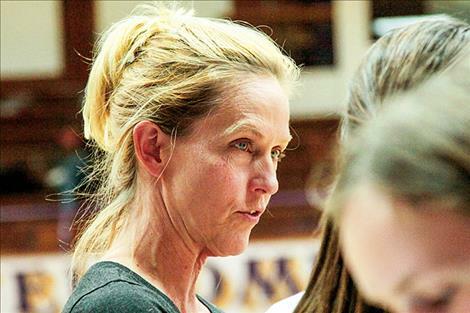 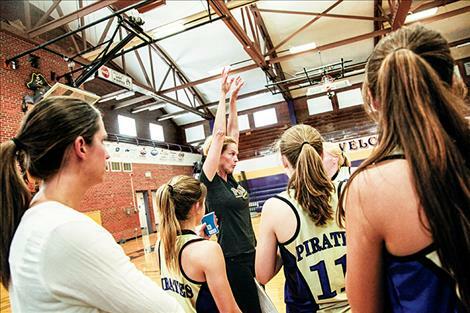 The Lady Pirates volleyball squad hasn’t notched as many wins as they’d hoped for so far, but the team is healthy and Coach Patricia Luetzen is seeing marked improvements in tough situations. 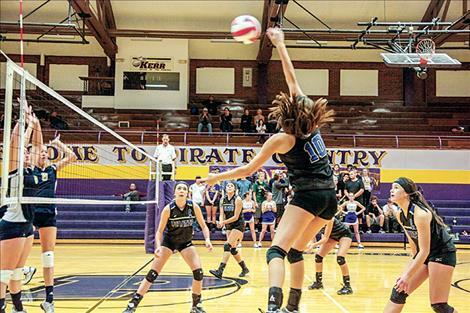 Polson took a split as they hosted a double-header against two Southwestern A teams on Saturday. 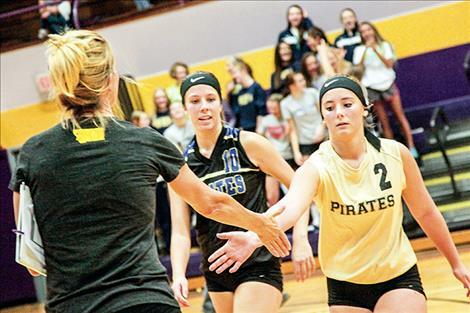 In the morning, Polson battled through three close games before losing the match to the Hamilton Broncs in the fourth set. 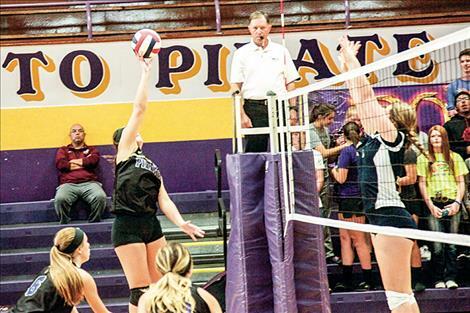 Haley Fyant and Hanna Fryberger led with 13 and 12 of Polson’s 34 kills, Kyler Lundeen had 19 digs and Lauren Lefthand leapt for a pair of blocks. 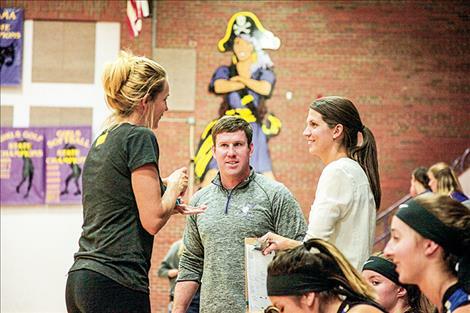 Fryberger earned four aces while Kaelyn Smith and Paige Noyes smacked three aces each against the Broncs, who are currently last place in their conference. 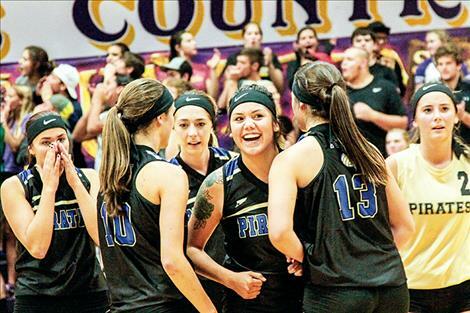 Polson pulled out a marathon win against Dillon in the afternoon, going all five games to secure the 3-2 victory. 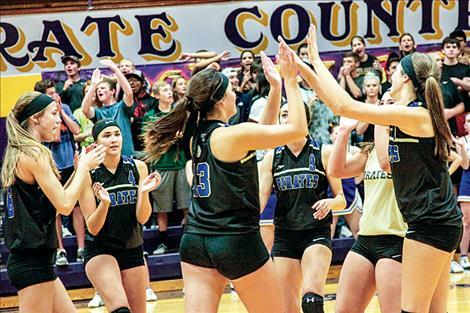 “This was our first five-set match this year, and it was a competitive stamina builder,” Luetzen said. 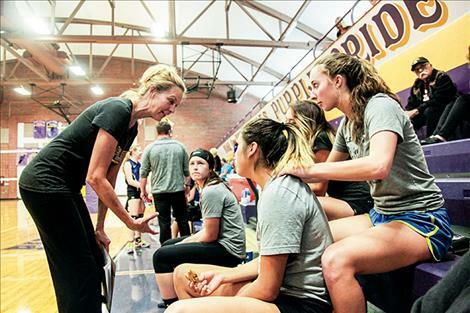 “It’s fun to step back and just watch who wants to own that experience. 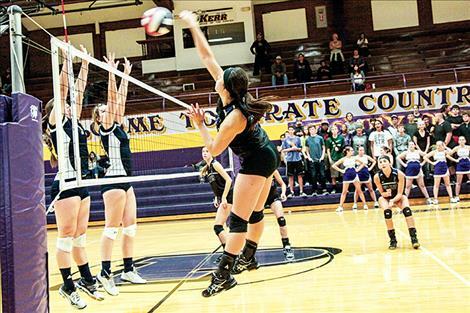 Fyant notched 20 kills and 10 digs in the marathon contest, and Fryberger contributed 12 kills, 11 digs and led the team with eight aces. 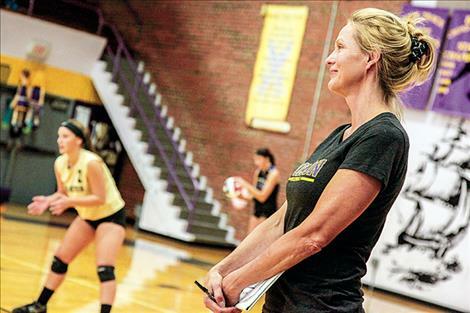 Luetzen said she’s pleased with the aggressive serving, and will be working on team and individual blocking in the next few weeks. 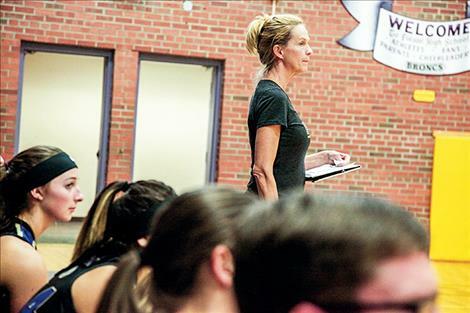 “We have six solid servers and more as we finalize rotations and head into the second half of the season,” she said. 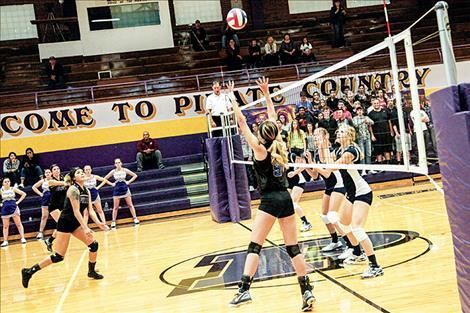 Libero junior Kyler Lundeen has also shown marked improvement in the last three matches, according to Luetzen. 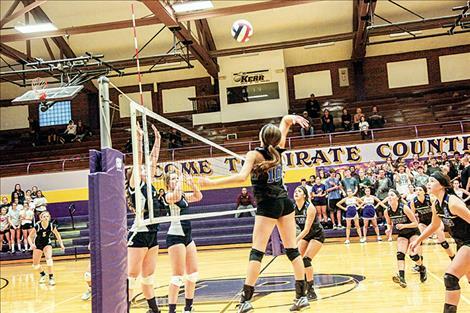 The Lady Pirates (1-2 conference, 2-4 overall) currently sit third in Northwestern A and host Butte Central on Saturday for homecoming week. 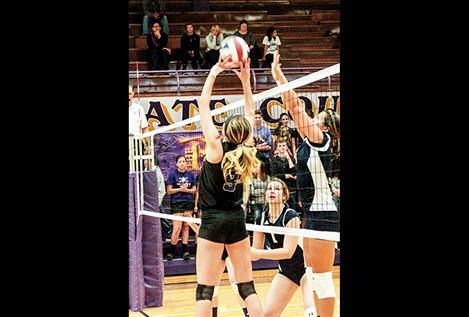 Kills – Polson 34 (Haley Fyant 13, Hannah Fryberger 12, Lauren Lefthand 9) Hamilton 38 (Halkey Hudgins 9, Kacia Guisinger 9). 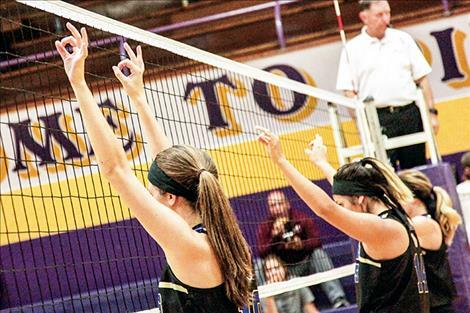 Digs – Polson 43 (Kyler Lundeen 19, Haley Fyant 9) Hamilton 66 (Tristy Searle 11, Caitlin Dillon 11). 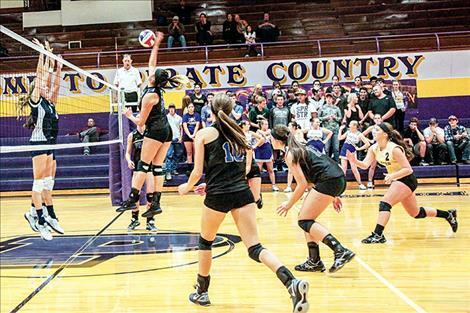 Blocks – Polson 4 (Lauren Lefthand 2) Hamilton 7 (Kacia Guisinger 4, Caitlin Dillon 3). 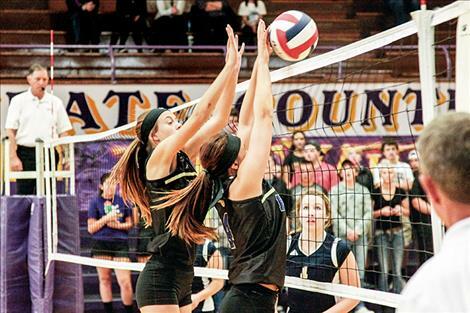 Aces – Polson 13 (Hannah Fryberger 4, Kaelyn Smith 3, Paige Noyes 3) Hamilton 6 (Kacia Guisinger 6). 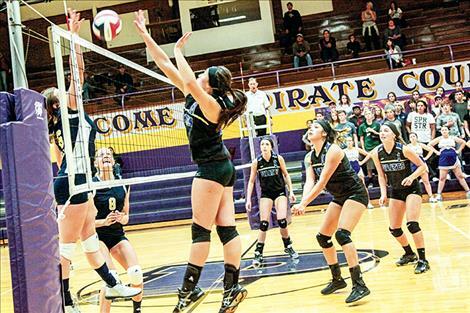 Dillon 36 (Kylie Christiansen 14, Brynley Fitzgerald 10, Nicole Stewart 6). 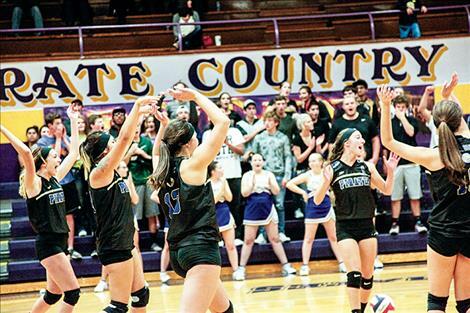 Digs – Polson 75 (Kyler Lundeen 40, Hannah Fryberger 11 Haley Fyant 10) Dillon 79 (Kylie Christiansen 25, Bailey Berriochoa 19, Maggie Magee 13). 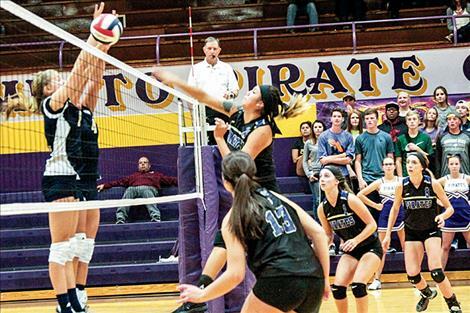 Assists – Polson 43 (Kaelyn Smith 22, Laurel Bitterman 14, Paige Noyes 7) Dillon 33 (Bailey Berriochoa 27). 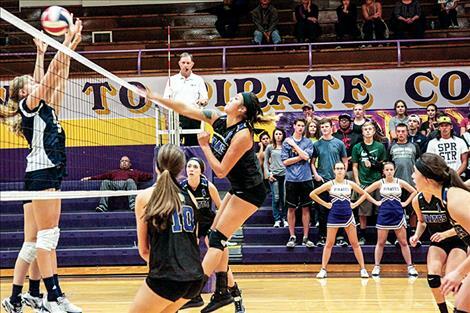 Blocks – Polson 7 (Lauren Lefthand 3, Kaelyn Smith 2) Dillon 6 (Nicole Hritsco 3, Bailey Berriochoa 2).